Based on the Novel made by Project Itoh. The Website for the Movie based on the Novel made by Project Itoh, The Empire of Corpses, has revealed by a vídeo who will be on the staff for this Movie. The Story takes place on the 19th Century Europe, were Jhon H. Watson has been selected to become a secret Agent. Also there is to say that “Frankstein”- Human Corpses who has a fake soul in order to make them do labours - are being used in the Indurstrial Revolution. 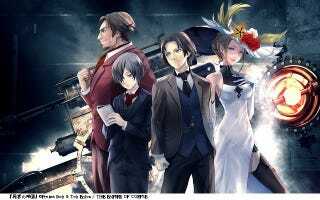 The Empire of Corpses is one of 3 Films based on the Novels made by Project Itoh. The other Two are: Genocidal Organ and Harmony. These three films will be released this year, the Empire of corpses in particular will come on October 2.